"Nha Trang makes an excellent first impression: warm ocean air, shining sun, and a friendly tourist vibe. I was ready for a vacation from traveling. Little did we know how hard it would be to leave Nha Trang. In total, we would spend nearly a week of our preciously short time in Vietnam hanging out and exploring this slice of coastline. Nha Trang is a resort town that manages to combine high-rise hotels with a laid back backpacker scene. There are great restaurants, endless to-do�s, and some of the country�s best nightlife. Best of all, everything is super affordable, from the clean and air conditioned $8 a night hotel room we scored to the $1 happy hour buckets we sipped on the beach". Nha Trang - is a city in Vietnam and is the capital of Khanh Hoa Province. Nha Trang has around 520 000 inhabitants. The main sources of livelihood are fishing and tourism. It is an 8 hour drive from Ho Chi Minh City and it's considered one of the best places for snorkelling and scuba diving in Vietnam. The largest part of the population are followers of the Buddhism. The city is therefore necessary Buddhist buildings such as the Thap Ba Cham Temple, dedicated to the Buddhist priest Ponagar. Or the Long Son Pagoda with the stunning 14 meter high white Buddha. This is partly erected a monument to some monks who burned themselves in protest against the Diem regime. 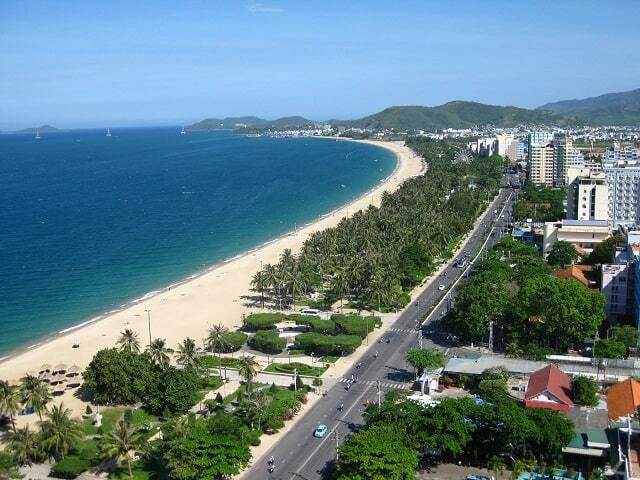 Nha Trang has an impressive setting: it is surrounded by a chain of hills, with a beautiful sloping beach. The city has a turquoise bay, which is dotted with tropical islands. Nha Trang is sun, sea, beach, snorkelling, entertainment and various excursions in the nearby centre. The coastline has in recent years undergone a major makeover, with parks and sculpture gardens, which are scattered along the impressive boulevard. While the side streets have some striking boutiques and a variety of dining options. If the restaurants are closing, the nightlife begins. Nha Trang is a party city par excellence, like any self-respecting seaside resort should be. Forget the curfew; people stay up very late partying in the city. You can also stroll in the evening along the small evening markets. Nha Trang is a friendly, cosmopolitan, bustling seaside resort with a beautiful landscaped promenade along a wide and long beach. Along boulevard are major hotels and resorts, as well as dozens of newly built apartments. If cocktails and shooters are not your taste, there are few more relaxing activities that are offered. Try an "old-school spa treatment" with a visit to a mud bath or explore the ancient Cham towers that still stand in the centre of the city. 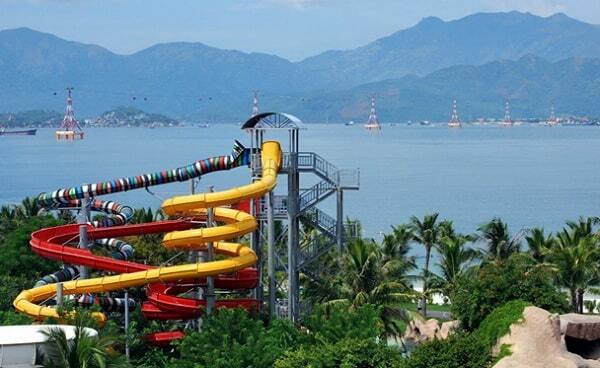 Nha Trang is a beautiful but relatively expensive, crowded and lively seaside resort. It has sea facing a long, beautifully landscaped promenade along the wide beach. You will find two of the most beautiful beaches in Vietnam namely Jungle beach and Doc Let. Along with the heavenly beaches, hot springs, great variety of fish, colourful coral reefs have made underwater which Nha Trang has become one of the best places for diving and snorkelling. The best time to visit Nha Trang from January to August. Nha Trang is known for the famous entertainment centre: a series of complexes such as Vinpearl Land, Tri Nguyen Aquarium, Hon Tam Resort, to name a few. They are designed in a special place. So Vinpearl Land built on an island, with a few five-star resorts and the Vinpearl Amusement Park. The park contains many modern and unique large-scale facilities. Some attractions include the Guinness 3,320- meter long cable car over the sea, the Water Park, Under Water World, an amphitheatre, a Shopping Mall and Food Village. Vinperal Land is also used for international beauty contests like Miss Universe and Miss Earth. On the other hand, Hon Tam Resort is the harmonious combination of modern restaurants, pools with wild beaches and tropical forests. Tri Nguyen Aquarium, the design of a stranded ship, is also worth a visit. Nha Trang is surrounded on three sides by mountain ranges. On these mountains you find a primary forest with rare plants. otherwise you will find here a spectacular waterfall and a peak of 1578 meters, the Hon Ba Peak. This is 60 km from the city centre and the road to it (25 km) is winding and steep. You breathe here pure air and the cool temperature you will feel certainly at ease. If you are tired of the beaches, Hon Ba is a great place to visit. Long Son Pagoda: Thai Nguyen Street - This distinctive pagoda was founded in the late 19th century and is situated on a hill (a climb of 152 steps). The entrance and roofs are decorated with mosaics dragons, which are made of glass and ceramic tiles. Behind the pagoda is a huge white Buddha seated on a lotus flower. Around the base of the statue are busts of Thich Quang Duc and six other Buddhist monks deceased by self-immolation in 1963. 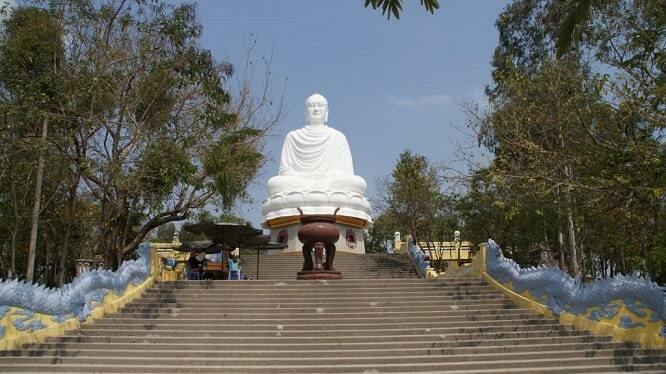 Around the 14-meter high Buddha you have a great view of Nha Trang and nearby areas. Persistent beggars, swindlers and children gather at the pagoda. They have printed name badges and claiming to work for the monks. Once they've guided, they will ask for money "for the monks 'or' for a prayer." If that fails, they try to persuade you to buy postcards. The best way is to ignore them. If you give a contribution to the maintenance of the pagoda, leave something behind in the donation box, as you would in any other pagoda. 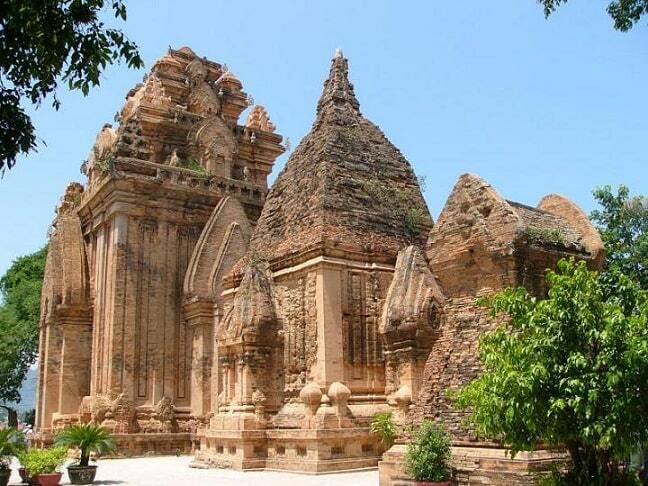 Po Nagar Cham Towers: These four Cham Towers are located 2 km north of the centre of Nha Trang, on the banks of the River Cai. They are still actively used for worship by Cham, Chinese and Vietnamese Buddhists. Originally, the complex had seven or eight towers, but only four towers are left, the 28 meter high northern tower (Thap Chinh), dates from the year 817. Because this building still has a religious significance for the people, you have your shoes pull out before you go inside. Nha Trang Live: This is a tourist information for businessmen and tourists. It is also located in the business centre and the most popular beach of Nha Trang. Tourist and business information are available to all travellers and foreign companies. This is the place to get free city maps, drinks, and travel guides. Nha Tho Nui: This cathedral is located 2 km from the centre. It is a 38 meter high Catholic cathedral. The cathedral was designed by Father Louis Vallet and was opened in 1933. Pastor Louis Vallet is buried at the foot of the church.